We sell several A+ rated homeowners insurance policies from the best companies in the state. Homeowners Insurance is a package policy with Dwelling Coverage for your Structure, Contents Coverage for your personal property, and Personal Liability to cover your assets. Our agency is partnered with the best companies in the state. Call today to speak to an agent to have us compare your rate. Auto Insurance is required to drive in the state of Florida. Our agents quote you with several A rated companies to find you the best price. We work with the best companies in the state to offer coverage for all Florida condos, including costal and beachfront. Condo Insurance or HO6 Insurance is a package that compliments the Condo Association's Master policy. These policies protect your personal property, and liability. Contact us today to learn more. 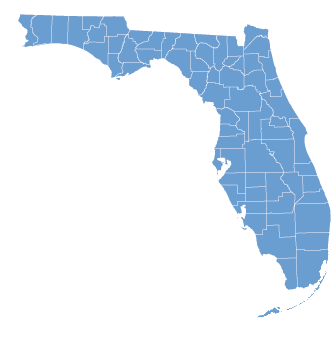 Our live agents insure autos and property in every county in the state, including costal or beachside. Contact Us for a quote today!